Hanover Street and Branch of the Bank of England. 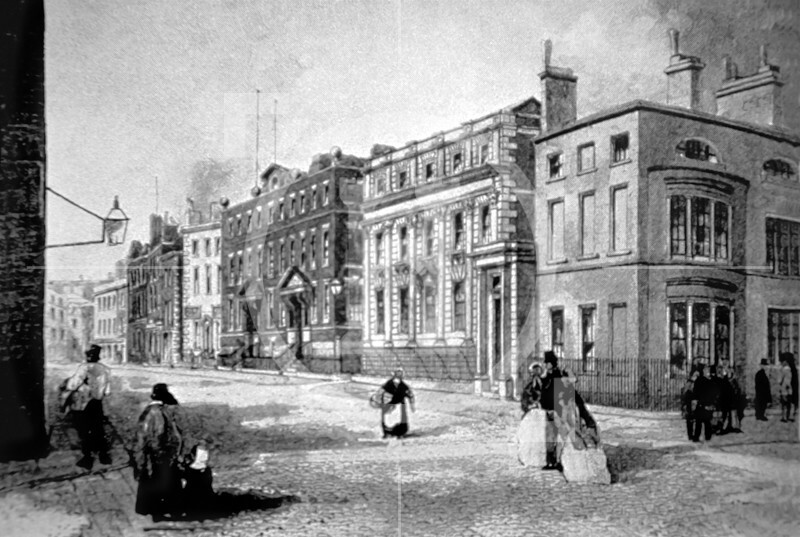 In 1827, the Bank of England bought the house in Hanover Street which had originally been built by Thomas Steers, the docks engineer, c. 1735. In 1769, it had been occupied by Thomas Seel after whom Seel Street is named.